Indian participants at the premier Russian air show included Hindustan Aeronautics Ltd and BrahMos. This year the premier Indian aerospace giant Hindustan Aeronautics Limited (HAL) and New Delhi-based Indo-Russian joint venture - BrahMos Aerospace Limited set up impressive stalls in the prestigious front row pavilions next to the main Russian pavilion of the United Aircraft Corporation – an umbrella organisation for virtually entire military and civilian aircraft industry of the former Soviet Union. The history of this biggest Russian aircraft salon began in the summer of 1992 as the Moscow Air Show – to show the world that in spite of the Soviet collapse a few months earlier, the Russian aircraft industry was 'alive and kicking'. Since 1993, it is being held at alternate years at the Ramenskoe airfield of the Gromov Flight Research Institute, which boasts of the Europe's longest runway of 5403 metres. In this year’s edition, BrahMos Aerospace Limited, a joint venture between India's Defence Research and Development Organisation (DRDO) and Moscow-based NPO Mashinostroyenie, had for the first time displayed the aerial of version of the 'world's best' supersonic cruise missile for Sukhoi Su-30MKI multi-role fighter with a catchy slogan: Many Missions, Many Targets – One Missile System. However, the interaction in the field of joint development of military aircraft is the main thrust of India-Russia defence cooperation, which has confidently transcended from 'buyer-seller' relationship to joint research, development and manufacture of new cutting-edge platforms. HAL is the main player in this mutually beneficial cooperation with Russia. “This aircraft was tailor-made to meet the requirements of the Indian Air Force,” Managing Director of HAL's Nasik (MiG) Complex, S Subrahmanyan told this writer at MAKS-2013. It is no secret that today this multi-role fighter is Russian defence industry's 'hottest' export item. Not only this, HAL is also supplying avionics for Su-30 series fighters exported by Russia to third countries. FGFA is an outstanding example of strategic partnership between India and Russia. It is based on Sukhoi's T-50 PAK-FA project. HAL Nasik complex MD, S. Subrahmanyan, who looks after the joint projects with Russia, told that a team of 25 Indian experts was based in Moscow and the two sides have almost completed 'deep design phase' (DDP) for the Indian variant of the FGFA, which would be lighter because of massive use of composite materials than the all metal T-50 prototypes. 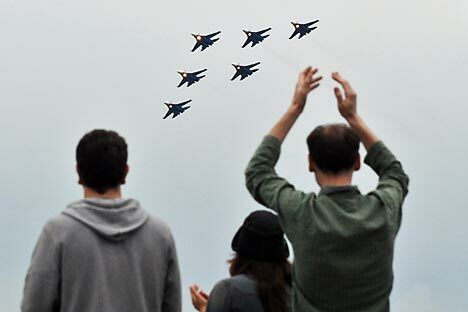 At the MAKS-2013 air show three T-50 aircraft gave an impressive demonstration of its aerobatics skills. Air shows are also used as a venue to sign major business contracts. Under the Indian government's offset requirements Russia’s MiG fighter jet maker has signed two additional contracts with an Indian private company worth a total US$ 55 million. However, the biggest surprise of the MAKS-2013 for Indian visitors was the mobile integrated TOR-1 ME air defence surface-to-air missile system mounted on TATA cross-country 6x6 and 8x8 truck chassis. According to its manufacturer Almaz-Antei Concern's representatives, it was the Indian customer's desire to mount their complex on TATA chassis, which were brought from India to Russian plant for fitting the missiles module, loader and command post.